COBIT 5 has brought a new evolution in the thinking process of managing and governing the enterprise of IT. This represents a question for all organizations that have invested into the implementation of earlier versions of COBIT regarding the migration to COBIT 5. This interactive guide is intended to answer three essential questions regarding the migration to COBIT 5. 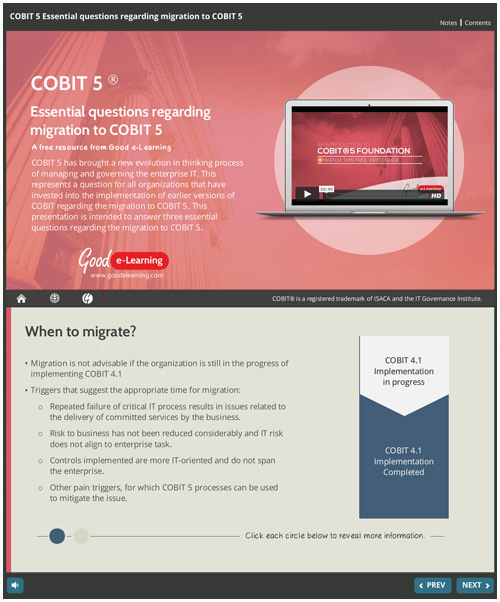 Download this COBIT 5 interactive guide to find out the essentials step when migrating to COBIT 5 and you’ll also get instant access to over 460+ business and IT learning resources absolutely free!